Most senior physicians still in practice can recall their earlier experiences when patients were rarely informed about their disease, much less their medications. Most patients then (and still common in developing nations) were unaware of their diagnosis, names or types of medications and potential side effects. We have come a long way since then, but some patients still remain in the dark about their illnesses or medications. In the distant past, when physicians were held in high esteem and given unquestionable authority, treatment and investigations were ordered empirically without explanation or the patients’ input. Nowadays, the expectations are different and physicians are held accountable for making unilateral decisions. At present, in most developed countries, the approach to management of a patient’s condition is expected to be a joint venture between the physician and patient or family. 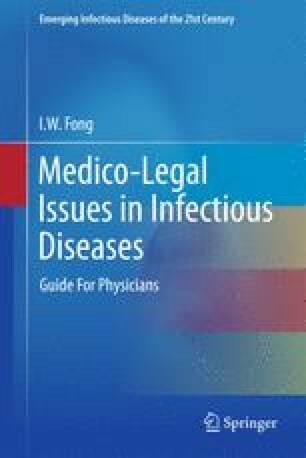 This chapter will give case scenarios where the health care system (particularly physicians) have failed the patients by omission in providing adequate information and counselling. Berringer R, (2008). Aminoglycoside therapy balancing risk versus benefit. Risk identification for all physicians. Can Med Protect Assoc R10814E: www.cmpa-acpm.ca.edu.